Malta is very famous about their saints and public holidays. Throughout the year there will be numerous holidays and festivities for different saints. You are most likely wondering how this will affect to your work and personal life. During public holidays the schools, workplaces and most of the shops at least supermarkets will be closed. So follow and prepare for these dates, these are the Public Holidays Malta 2018. This holiday is always celebrated on 10th of February. In Malta, it is called ‘San Pawl Nawfragu’. St. Paul is the patron saint of Malta. The is the first major feast day of the year and it commemorates when St. Paul was shipwrecked on Malta in 60AD as recorded in the Acts of the Apostles in the New Testament of the Bible. March 19th is celebrated as the Feast of Saint Joseph in other lands too, such as Italy, Spain, Portugal, Poland, and Canada. It is mostly kept as a special date by Roman Catholics, but some Lutherans and Anglicans keep the feast as well. The Feast of Saint Joseph has been observed as a day of special remembrance since the 10th Century A.D., and thus, the traditions involved run very deep. The holiday always occurs during Lent, and therefore, feasting tables are meatless, except for fish, though certainly not “impoverished” as to flavour. The date is normally set on March 19th, but can be moved when necessary to better “fit into” the Lenten and Easter season Calendar. In Malta, the main celebrations are held in Mdina, a suburb of the city of Rabat. Mdina is the “old capital” of Malta, before the government relocated to Valletta. As with the other 14 public Maltese holidays, most businesses close down for the Feast of Saint Joseph. Malta is known for most of the Feasts and celebrations, but the most popular of these activities are certainly the Good Friday processions, during which streets are transformed into open-air theatres that pay tribute to the Roman Catholic beliefs of suffering, death and resurrection. Every year on Good Friday, Christians around the world commemorate the death of Jesus Christ. His resurrection three days later is the Church’s greatest feast and, for believers, the defining moment of their faith. For the Maltese, no other event captures the imagination quite as vividly as the annual Good Friday procession. The holiday marks 31st of March 1979 which was the date on which the British military finally withdrew from Malta and its sister island Gozo. In 1814, Malta had become a crown colony of the British Empire after the British had help expel occupying French forces. Following the heroic defense of the island during World War II, King George VI had promised the Maltese people self government which they gained in 1947. This eventually led to independence from Britain in 1964 and Malta becoming a republic later that year. British forces remained on the island until 31st of March 1979, when the Defence Treaty with Britain came to an end. Mothers day is not exactly a public holiday, but a legal national holiday observed on the second Sunday in May. Mother’s Day is celebrated across the world, in more than 50 countries, though not all countries celebrate it on the same day. Countries which celebrate Mother’s Day on the second Sunday of May include Australia, Denmark, Finland, Italy, Switzerland, Turkey and Belgium. In Sweden Mother’s day is celebrated in 27th of May and in Norway it is 11th of February. In Mexico and many parts of Latin America, Mother’s Day is celebrated on 10 May of each year. In Thailand, it is celebrated on 12 August, the birthday of the current Queen. Egypt and neighbouring countries observe Mother’s Day on 21 March. Meaning ‘Seventh of June’ in Italian, this public holiday in Malta commemorates the killing of four rioters by British troops on 7 June 1919. In early June 1919, a change in the governor of the island was treated with skepticism by some and on 7 June, a crowd started removing British flags from buildings that had been flying at half mast across the island due to the recent death of the President of the Court. In 1989, the Maltese Parliament declared the day to be one of the five national days of the island. It is a time to remember those who gave their lives while standing up for the rights of all Maltese. Father’s Day as well as Mother’s day is not exactly a Public Holiday, but it is celebrated on 3rd Sunday of June. This year Father’s day is 17th of June. Father’s Day is a celebration honouring fathers and celebrating fatherhood, paternal bonds, and the influence of fathers in society. In Catholic Europe, it has been celebrated on March 19 (St. Joseph’s Day) since the Middle Ages. This celebration was brought by the Spanish and Portuguese to Latin America, where March 19 is often still used for it, though many countries in Europe and the Americas have adopted the U.S. date, which is the third Sunday of June. The feast of the Assumption is honoured all around the Maltese Islands, and also has a prominent place in the history of Malta. Celebrations are held in seven different villages for a whole week up till the 15th of August, the day of the Assumption. Amongst these villages, a village in the South West of Malta called Mqabba has had the parish dedicated to Saint Mary for more than 400 years, and colossal celebrations are held every year between 30 July and 22 August with the main celebrations are held between the 9th and 15th August which is organised by The Society of St Mary and Band King George V. During this week band marches cheer the streets which end every night in the village’s square where the utmost celebrations are reached. Victory Day (or Otto settembre) is a public holiday celebrated in Malta on 8 September and recalls the end of three historical sieges made on the archipelago, namely: the Great Siege of Malta by the Turkish Empire ending in 1565; the Siege of Valletta by the French Blockade ending in 1800; and, the Siege of Malta during the Second World War by the Italian army ending in 1943. This day also coincides with the commemoration of the birth of the Virgin Mary, better known as the Nativity, which feast is celebrated in the villages of Senglea, Naxxar and Mellieha in Malta, and Xagħra in Gozo. It is locally known as il-Vitorja (the Victory) and il-Bambina (Baby Mary). The traditional regatta featuring boat races in the Grand Harbour is held on Victory Day. Independence Day in Malta occurs on 21 September, commemorating the day in 1964 when Malta officially gained its full independence from Great Britain. 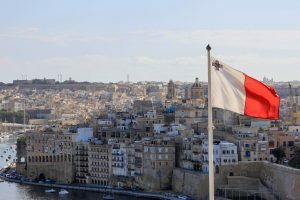 Yet, Malta’s march toward independence is a very complex history with multiple steps and stages, which is part of the reason the island-nation has no less than five national days. Nonetheless, “Jum-1-Indipendenza” (21-Independence) is celebrated with great fanfare every year by the Maltese people. On 8 December, many countries including Argentina, Austria, Chile, Colombia, Italy, Malta, Portugal and Spain celebrate the Feast of the Immaculate Conception. By the sounds of it, one would think we would celebrate the day Jesus was conceived. On the contrary, it is the day that the Blessed Mother Mary was conceived. This holiday is always celebrated on 13 December. In Malta, it is called ‘Jum ir-Repubblika’. This holiday is one of five national days in Malta and marks the day in 1974, when Malta became a republic. On 13 December 1974, the Maltese constitution was substantially revised. This effectively changed Malta from being a Commonwealth realm into a republic. The British monarch was no longer head of state and Sir Anthony Mamo became the first president of Malta. Christmas Day is a Public Holiday in Malta as well is New Years Day. Despite many other countries 26th of December also called as Boxing Day, is not a Public Holiday in Malta.